From Miami Beach to Tuscany, these 10 dreamy new listings marketed by the Coldwell Banker Global Luxury® program satisfy just about every real estate fantasy we’ve ever had. 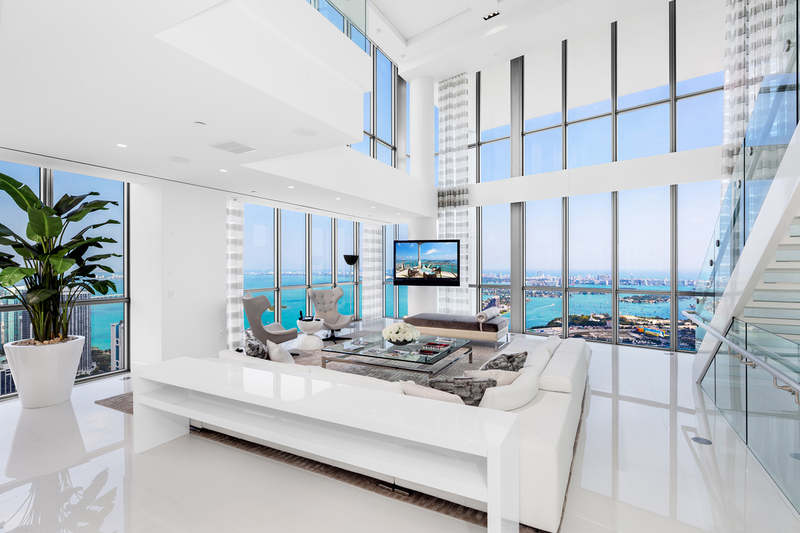 Located at the Marquis in the heart of downtown Miami, this four-story penthouse is the pinnacle of luxury living. No expense was spared in the 8,000-square-foot residence. Open flowing living, dining and family areas, illuminated stairs, interior elevator, white glass tile floors and soaring ceilings characterize the home. 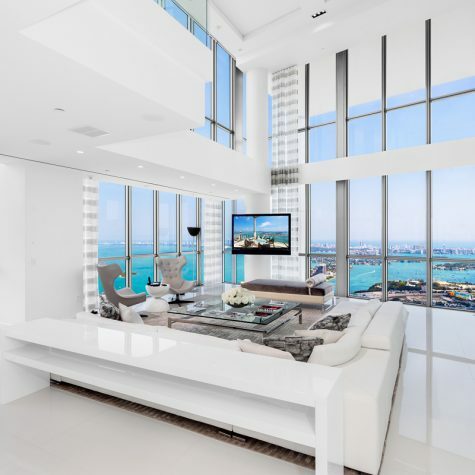 An approximately 2,000 square-foot terrace with a private rooftop pool on the 67th floor overlooks the entire city, giving you breathtaking unobstructed views as far as the eye can see to Biscayne Bay, Atlantic Ocean, Miami Beach and Downtown Miami. The entire 3rd level is the sumptuous master suite with bar, voluminous his/her walk-in closet, fireplace and amazing master bath — all with stunning views. This penthouse is centrally located, just minutes to Miami’s sports and cultural venues, entertainment, dining and shopping. The five-star Marquis Amenities complete the offering. 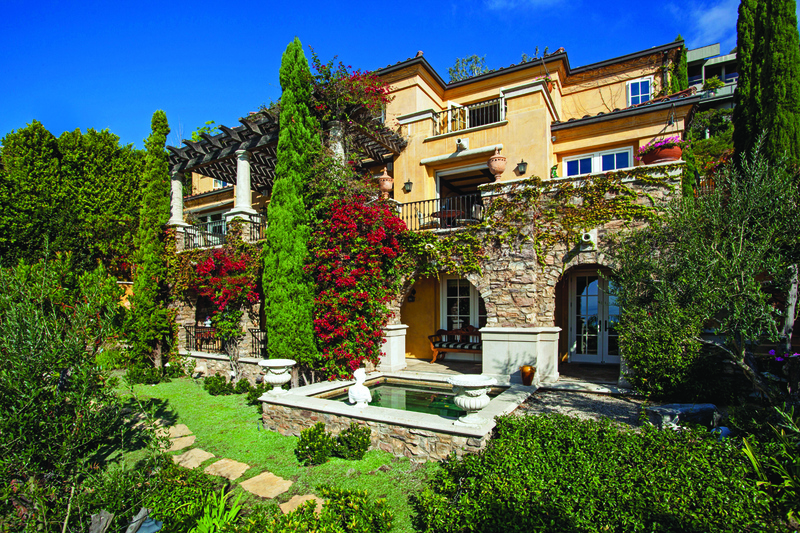 This exquisite hillside Italian style villa in majestic Laguna Beach stuns with panoramic coastline ocean views. Three levels of fabulous living, consisting of five bedrooms, five baths plus two powder rooms, are accentuated with a lower terrace, garden and spa. The charming gated entry courtyard welcomes you inside with a fireplace and fountain. Formal living and dining rooms, a fantastic kitchen, gorgeous stone floors, cathedral ceilings, a workout room, family room, office, wine cellar and elevator characterize the home. Street to street with garages and entries on two levels provide six covered car spaces and tons of street parking for guests. 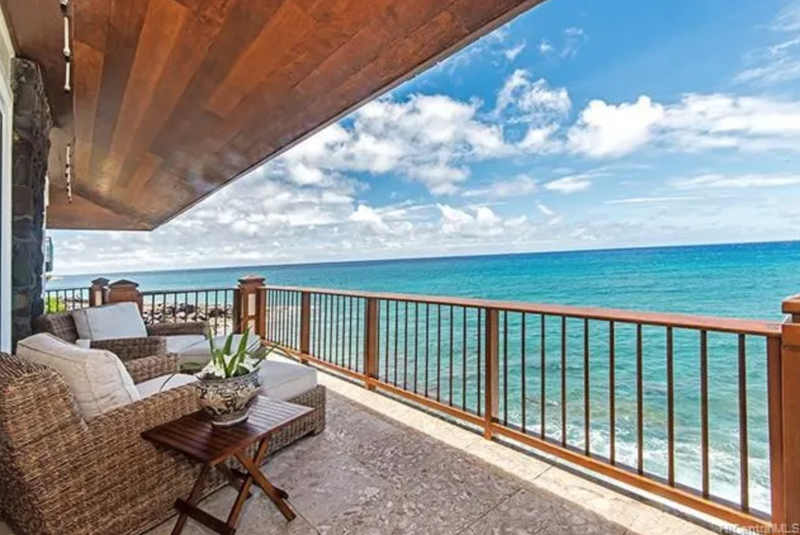 Set in Honolulu, this Bali-inspired oceanfront villa offers mesmerizing views of the Pacific Ocean. Enjoy the fresh ocean breezes and soothing sounds of ocean waves breaking at the cliff. Relax in the cliffside hot tub and pool overlooking the endless ocean. Lush terraced gardens, a soothing waterfall and koi pond lead to the seamless transition from outdoors to indoors. The estate offers five ensuite bedrooms and baths providing the ultimate in privacy and exclusivity. Theater room/ pool room brings families and friends together for good times. This Balinese estate is located on the most sought-after slopes of Diamond Head and has something unique to offer for everyone. Make this one of a kind fully furnished estate the paradise of your dreams where blue ocean meets the land. Recently remodeled and furnished, this impressive condominium in The Century features some of the most explosive and unobstructed views of downtown Los Angeles and the Pacific Ocean. Designed with exquisite taste and clean lines, the residence is highlighted by a private lobby, fabulous master suite with his- and her- custom closets and baths, beautiful eat-in kitchen and formal dining room. The architectural masterpiece building, The Century, was designed by renowned Robert A.M. Stern Architects and sits on four acres with spectacular gardens, a 75-foot pool with hotel-style cabanas, full state-of-the-art gym, pilates studio, spa, yoga studio, large screening room, library, conference room/ office, entertaining center with catering area and bar lounges, private wine storage and children’s play room. This prime city estate living experience is complete with 24-guard gates, valet, doorman and concierge. 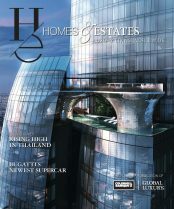 Simply one of the most beautiful interior design and renovation jobs to be offered at The Century. 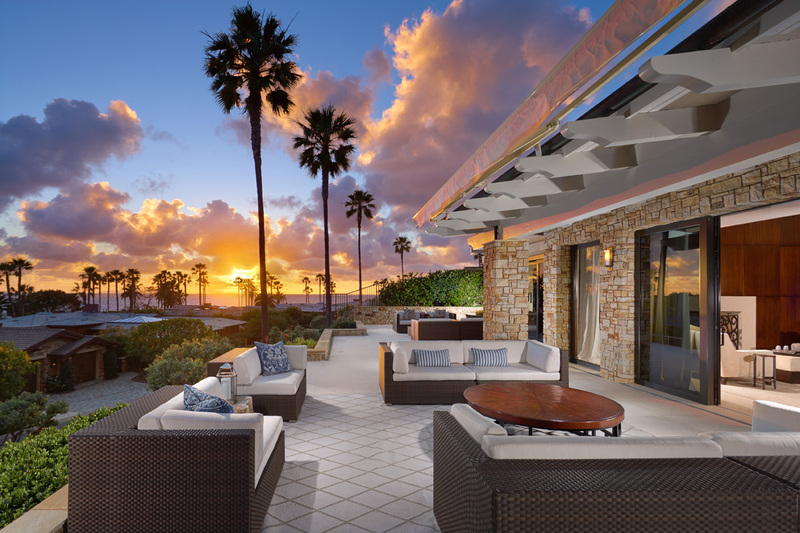 Situated on a private corner parcel at one of the world’s most prestigious resorts in Laguna Beach, this beachside masterpiece affords the homeowner unbridled luxury in many forms. Vast views of the Pacific abound from the nearly 8,000 SF open-concept residence inspired by Morris Skenderian and Danielian Architects. Slide-away stackable doors and an expansive wrap-around patio prove vital to the indoor-outdoor lifestyle experienced at the estate. An artful gourmet kitchen appeases the eye and the appetite alike with gleaming Mahogany cabinetry, three sinks, built-in espresso machine, and premium appliances; while, a central courtyard with water feature enhances the sense of ease that is felt within the methodically designed home. Three large en suite bedrooms, each with patio access, grace the main level. The utmost in comfort and convenience is found in the ocean-facing master suite fit with private fireplace and spa-bath featuring two distinctive sides, one with handsome dressing area and adjacent office, the other with walk-in closet, vanity area, and indulgent soaking tub. An elevator or staircase descent to the lower level unveils an additional guest en suite, wine cellar, and bonus or media room showcasing dramatic soffit lighting and swanky bar for overflow entertaining. 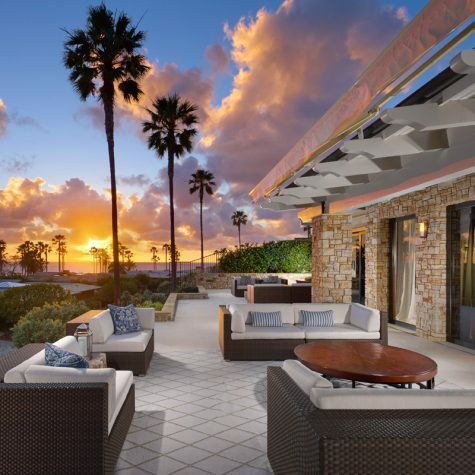 In addition to a premier coastal location, residents of the estate benefit from access to the world-class amenities of the resort including personal concierge services, pool, wellness spa, and private dining. Stunning British West Indies-style estate is situated on over half an acre point lot with arguably some of the best city and intracoastal views in Ft. Lauderdale. Designed by award winning Tuthill Architecture and winner of multiple Community Appearance Awards, this light and bright, airy home features an open floor plan and high-end details, including warm wood floors, a wine room, a gym, an eat-in gourmet kitchen and a master bedroom on ground level with dual baths and walk-in closets. Ample windows allow you to enjoy the water views and constant boat parade from your home. 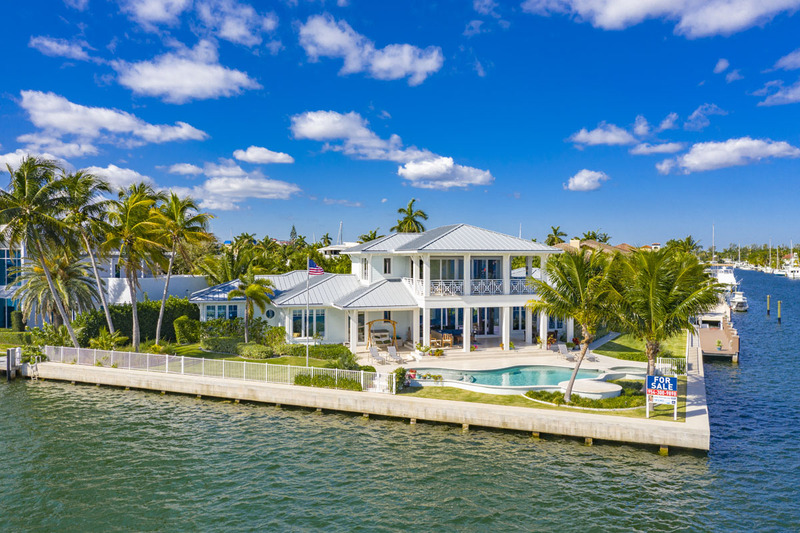 The gated property features vast covered verandas, a salt water pool and an oversized backyard highlighted by mega yacht dockage with over 300-foot on water and 45-foot boat slip. A boater’s dream, just moments to the ocean, this residence is conveniently located close to downtown, shopping, fine dining, nightlife, air and sea ports, plus major highways. Enter the private gates and behold spectacular gardens and majestic trees that surround a modern farmhouse sited on four private acres in prestigious Bonsall Canyon — just a block from the beach. The sprawling compound includes a luxurious main residence nearing 6,000 square feet, three self-contained guest homes, pool, tennis court, rolling lawns, fruit trees and vegetable garden. Light and bright living spaces, high ceilings, wide plank walnut floors, hand-hewn beams and exquisite stone work create a warm and inviting feeling throughout the entire house. Additional structures provide an opportunity for private offices for those looking to have a separate work space on the property and are perfect for a studio, guest and staff quarters. For the equestrian, the custom barn with turnouts, large riding ring and nearby trails provide an opportunity to ride, train and enjoy your horses. Those needing a multi-family style compound will find that the three parcels provide a unique opportunity. 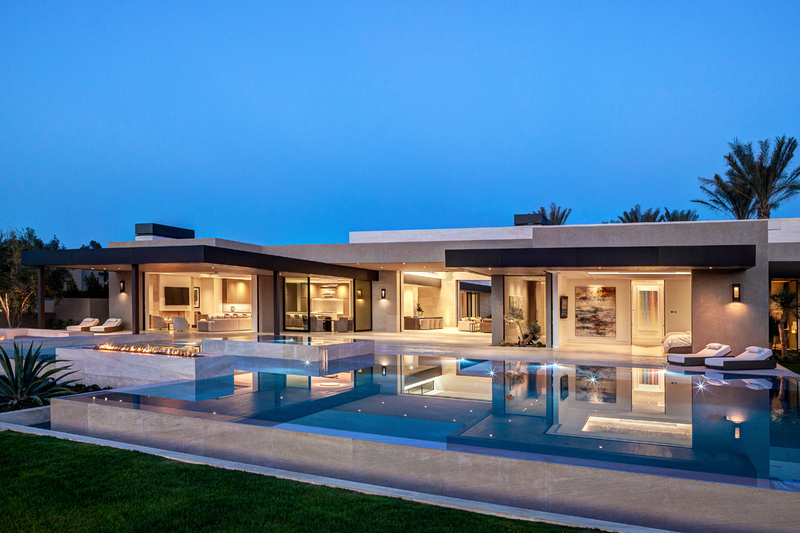 Golf enthusiasts will fall instantly in love with this new modern estate situated in the heart of one of the most exclusive golf clubs in the country, The Madison Club, a world class Tom Fazio-designed golf course. This spectacular residence was designed by Bill Hayer Architecture. A rare 56,540 square-foot lot brings privacy, space and dramatic views of snow-capped mountains and golf course into perfect harmony. Approximately 11,316 square feet of interior living space features a separate full guest house with two bedrooms and a casita, exquisite private master wing with sitting area, spa bath and private courtyard, plus three additional large guest suites in the residence. Exceptional lighting design by Ron Neal captures each and every fine detail, right down to the Portuguese Limestone walls and floors. Meticulous landscape design features a one-of-a-kind full inner courtyard private serenity pool with video wall and stunning backyard pool with LED multi-color pool lights, fire features, waterfall and lanai misting system.A four-car garage, gated motor court for 10 cars and a five-car circular motor court round out the exceptional offerings found in this property. This luxury villa is one of only a few located within the exclusive gated community of Pineta di Roccamare. 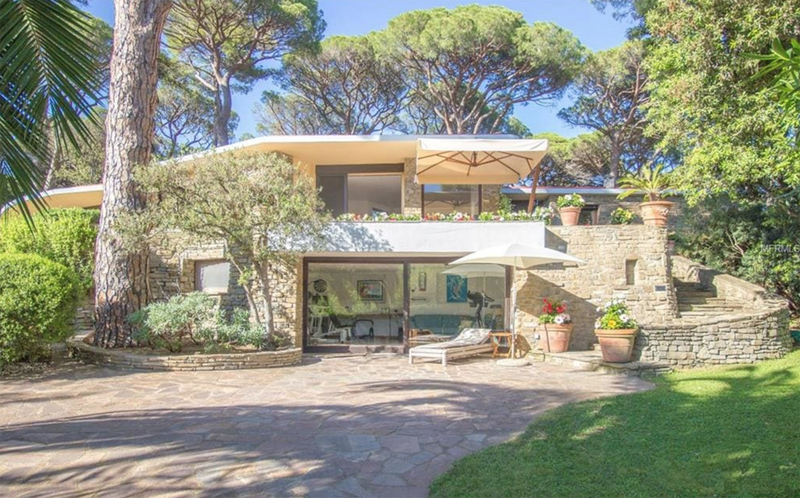 Expansive views, spanning over the valley, as well as private access to the white sandy beach and crystalline sea near Castiglione Della Pescaia characterize this prized six-bedroom, four-bath Tuscan oasis designed by members of the von Hohenlohe dynasty. The architecture is surrounded, cooled and enriched by lush landscaping that shrouds it in privacy, exclusivity, anonymity and safety. As soon as you walk inside the villa, you are welcomed by a hallway, large reception room and dining room with a wood burning fireplace. The large pool includes a cabana. The main villa and garden area underwent a thorough renovation by its German owners in 2015, including a new roof, pool, terraces and interiors. A separate potential guest villa is available for purchase next door for extra guest or staff. Castiglione della Pescaia and Punta Ala offer many sporting options, including golfing, riding, hiking, biking, tennis, surfing and sailing, as well as culinary delights. Lovers of history and culture may enjoy archaeological sites like Vetulonia and Roselle nearby; lovers of nature may organize excursions and trekking. In Castiglione Della Pescaia, Scarlino and Punta Ala are beautiful marinas that allow for boat trips to the islands of the Tuscan archipelago. 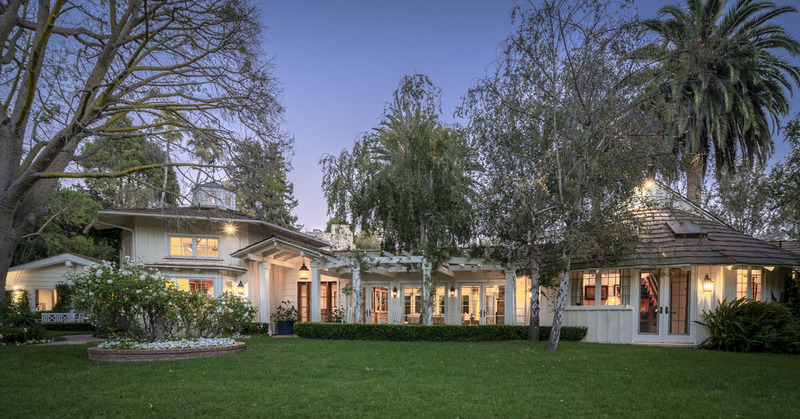 An architecturally refined rendition of elegance and sophistication in Brentwood Park rests on a lushly landscaped, private and gated 21,000-square-foot lot. An open floor plan offers volume, steel casement windows, pockets of disappearing glass, and garden views from virtually everywhere with five bedrooms and eight baths on two levels. Downstairs boasts a sun-filled living room, over-sized dining room with climate-controlled wine storage, fabulous kitchen and secondary kitchen with custom cabinetry, and beautiful family room featuring a breakfast nook opening to a heated loggia with fireplace. Beyond the house itself, the grounds encompass a pool and spa. The opposite wing has a guest suite and movie theater equipped with a full-featured projection system, elevator, library with oak shelving, two-car garage plus car lift for extra car and mudroom. Upstairs is a large entertaining loft plus three on-suite bedrooms and a sumptuous master suite with two fireplaces, adjoining sitting room, his and hers closets, and an exquisite bathroom.